Last month, The Mele Group’s Oretta welcomed their new Executive Chef. A native of Sicily, Italy Chef Di Marco. Chef Di Marco was formerly the Head Chef of Capocaccia Trattoria and brings a wealth of experience in traditional Italian cuisine. 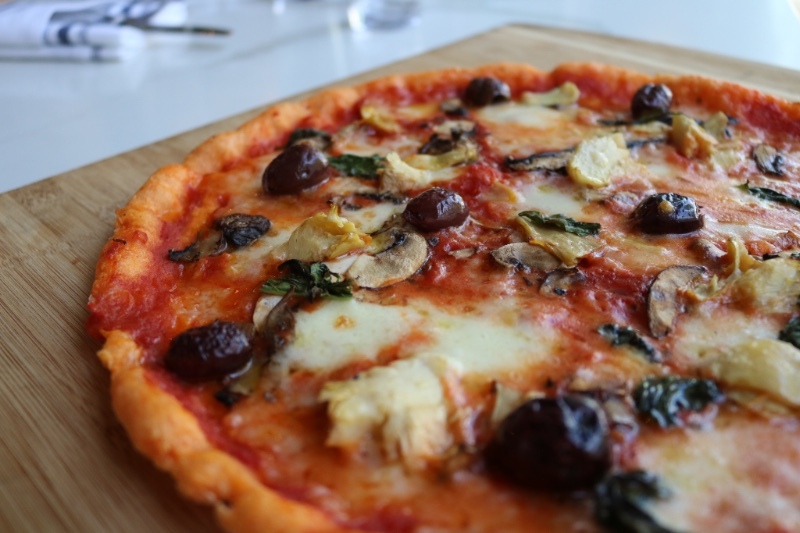 Oretta’s new menu features Italian fare with a modern twist with 2 new addictions; a Southern Italian Degustazione Chef’s Menu and a gluten-free pizza dough option! This lovely new Chef’s menu will be available during lunch and dinner hours for groups of four or more. To ensure dietary restrictions and preferences are considered, no two menus are the same! Chef Di Marco personally speaks to each table they serve at the beginning of their meal and provides you with a total of seven courses, a truly authentic Italian dining experience. The new gluten-free pizza dough is made from a blend of gluten-free flour, potatoes and refined red peppers to offer a delicious and wheat-free alternative for dining! Called La Snella, meaning ‘The Slim’, the pizza dough has a light red hue from the peppers and can be substituted in any of Oretta’s mouth-watering pizzas. In late 2o16, Oretta opened it’s doors to the lively heart of King Street West. They introduced fresh and contemporary Italian cuisine and a stunning art deco design to make their restaurant as memorable as ever. Quickly winning the hearts of Torontonians with its multi-faceted space and offerings, Oretta serves amazing menus during lunch, dinner, aperitivo and weekend brunch. A popular place for private events, Oretta’s private dining space is located on the restaurant’s second floor and includes a demonstration kitchen that allows for a one-of-a-kind dining experience. They offer everything from freshly made pastries, paninis, focaccia, gelato and some of the finest espresso in the city. The perfect stop for the morning commuter! You can also order food to enjoy from home or work with their menu on Foodora! For more information visit their website www.oretta.to.